Folic acid is a type of vitamin, vitamin B9 to be more precise. It is very important because it is one of the main ingredients that help to make nucleic acid which further helps to form some part of the genetic material. This is why it is recommended to take folic acid supplements during pregnancy as it is imperative for the baby. What is the best time of the day to take folic acid during pregnancy? It is recommended that you take folic acid with a meal because any form of vitamin will get better absorbed in the body when you have a full stomach, instead of in between meals. Also, if possible, have it in the morning along with your breakfast, so that you don't forget it through the day. Folic acid will help to create more red blood cells and also help to keep your baby’s brain healthy. It also aids in other very crucial functions such as preventing hearing disabilities, even in later years. It will help your baby’s neural tube develop into the brain as well as into the spinal cord. Most women are recommended folic acid supplements when they visit their gynecologist during pregnancy. However, if you are already planning to conceive, you should speak to your doctor about it so that you can start taking the supplements even before you are actually pregnant. According to some medical reports, any woman who is healthy and old enough to be pregnant should start taking folic acid supplements. The best time to start taking folic acid is before you are even planning to conceive, or are planning a baby. This will ensure that you are in the best of health so that once you are pregnant, you and your baby growing inside you are both healthy and are safe from any health concerns. Most birth defects that start in the womb happen within the first 3 to 4 weeks of conception. So, it is important that you definitely take your supplements either if you are already planning to conceive, or definitely from the moment you know or suspect that you are pregnant. 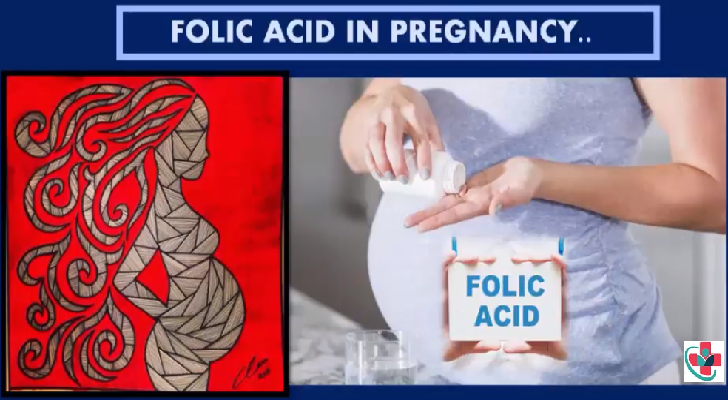 Women who start taking folic acid supplements at least one year before they become pregnant can reduce their risk of going into early or premature labor, by almost 50 percent. Here is a general recommendation of how much folic acid you should take, depending on your pregnancy or conception stage. However, it is very important that you speak to your doctor about the same to get the accurate dosage requirements. Once your baby has stopped breastfeeding, you can speak to your doctor and gradually stop taking folic acid.